I bought the cutest fall throw, maybe ever! I know, you are rolling your eyes right now because it’s still so hot outside, right? Well, me too! 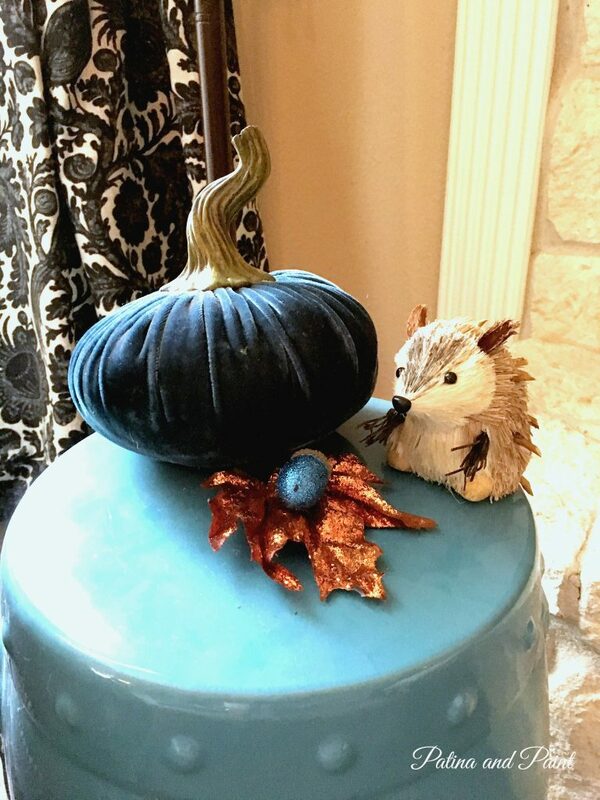 I am so conflicted about fall decorating right now. On one hand, I am so ready to break out the fall decor. My summer stuff seems to be hot, tired and slightly wilted. Or Maybe that’s just me? On the other hand, I can’t believe I am even thinking about cuddling up in a throw blanket even if it is the cutest fall throw ever. As I write this I am sweating glowing like a true southern belle! I went to pick up a new gallon of paint for the never ending guest room reno and came home with a few other things. 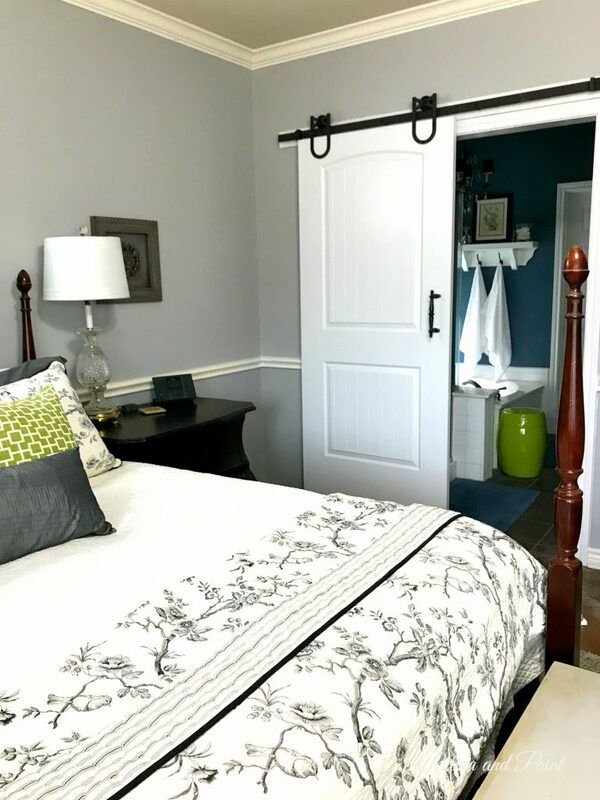 None of which have anything to do with the guest room. I was at Ross looking for a new lamp shade and came across this cute throw. I immediately fell in love with the pom poms! It didn’t hurt that they were the perfect fall colors either. I couldn’t wait to get it home and pull it out. 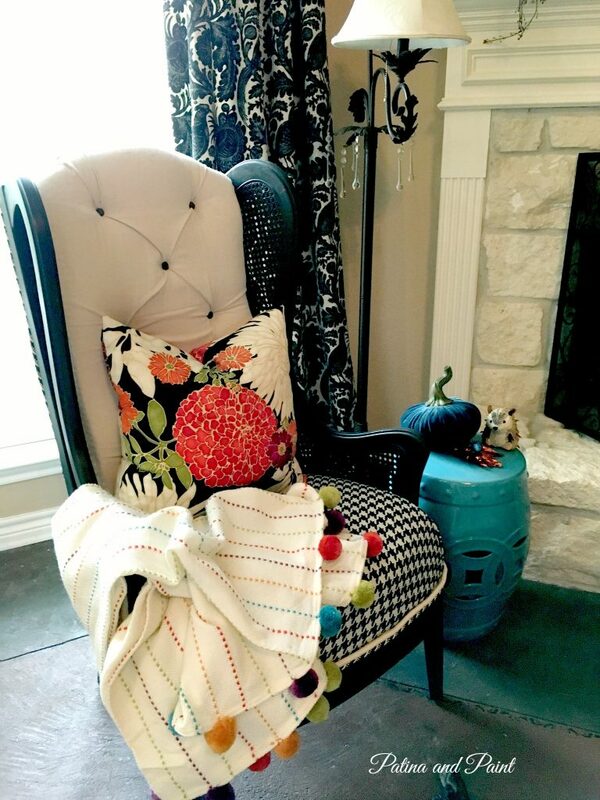 It goes well with the existing pillow, but I’ve been kicking around some ideas for new fall pillows. More on that later. I was at Walmart, I can’t even remember what for, and came across the cutest little woodland animals. They were only $3.98 each! It was a good thing that there were only three left, or I might have lost my mind and bought quite a few more than I need. Seriously, is this not the sweetest little face? I’m not sure if they will stay where they are, but I like them placed randomly around my living room for now. They just make me smile. 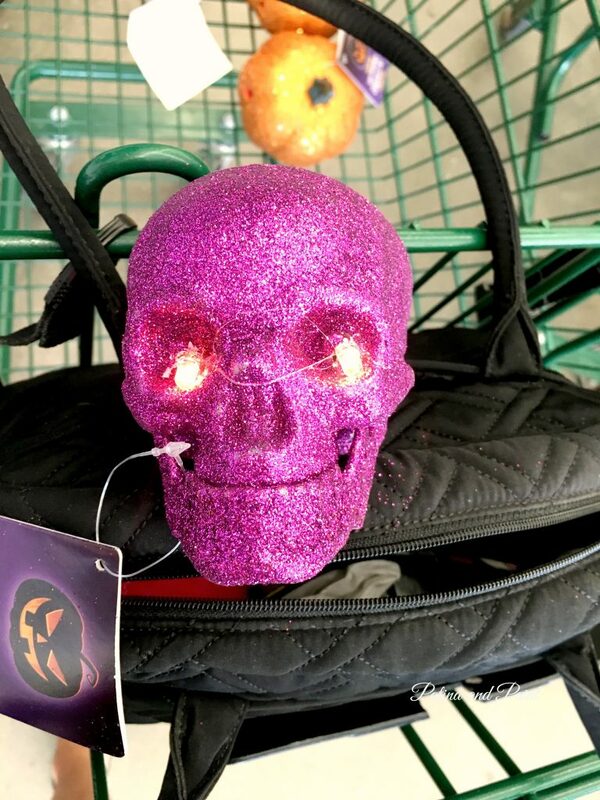 Last but not least, I found these Halloween decorations that light up. Not only do they light up, but they change colors people! Totally bourgeois. I love them. Stuff like this is why I stay away from the Dollar Tree at all cost. Target’s dollar isle too! The only thing that I did score that has anything to do with the paint I picked up was this new paint deck. I was honestly so excited that they had a new deck. Okay, not only is my inner five year old coming out, but so is my paint geek! 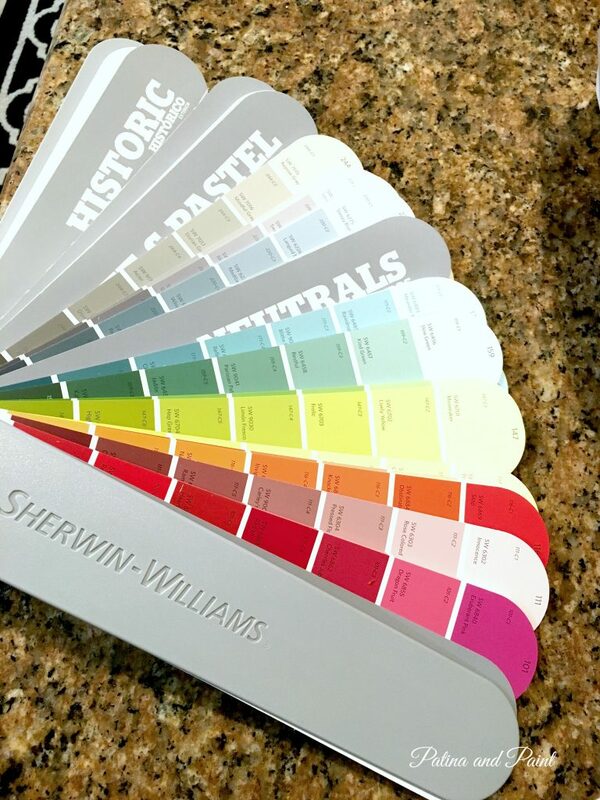 I’m not sure how “new” this paint deck is for Sherwin Williams, but it is new to me. So. Excited! 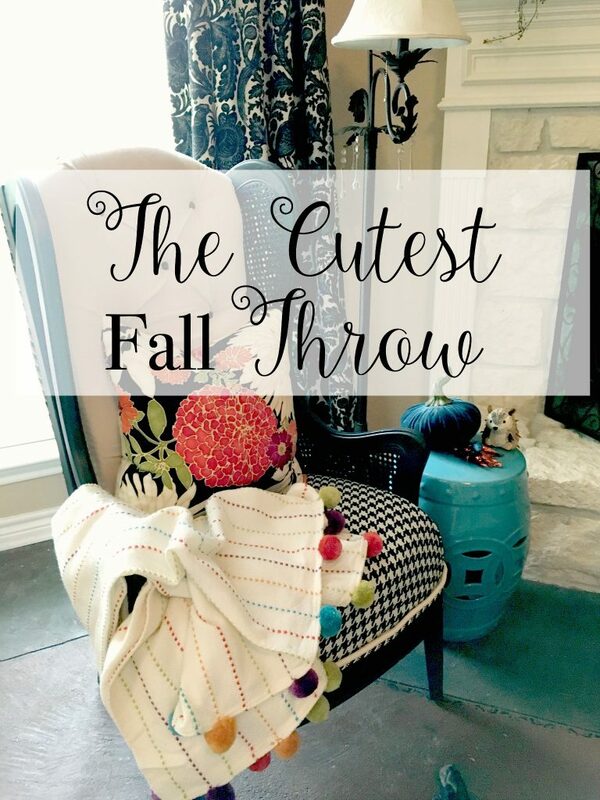 I will admit that the cutest fall throw may be helping me get into the mood to pull out the fall decor. If only to see what I will use this year, what needs to be tossed and make a list of new fall purchases. It never hurts to have a plan. Are you ready for fall? 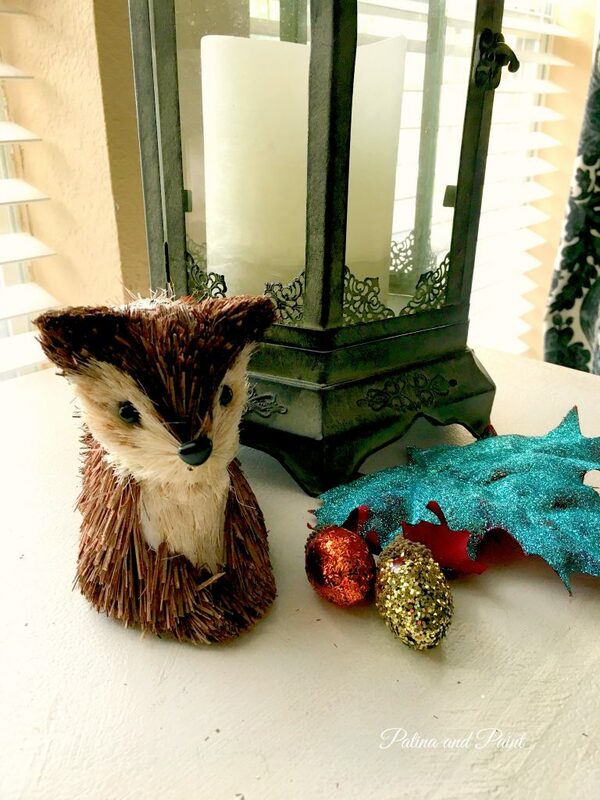 I’d love to hear if you are already decorating for fall or if you are like me and holding out for just a little bit longer. Your enthusiasm for fall is contagious! I’m getting more excited for fall as every day goes by…I finally pulled out the fall bins yesterday. Thanks for the encouragement! Thank you so much Summer! 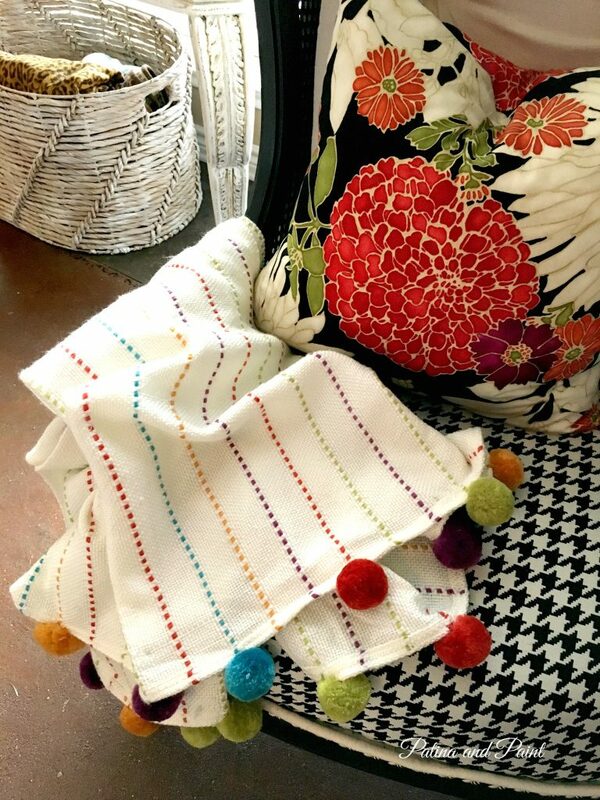 I have to say it’s been awhile since I fell in love with a throw – I think it’s the pom poms. Thanks so much for stoping by. 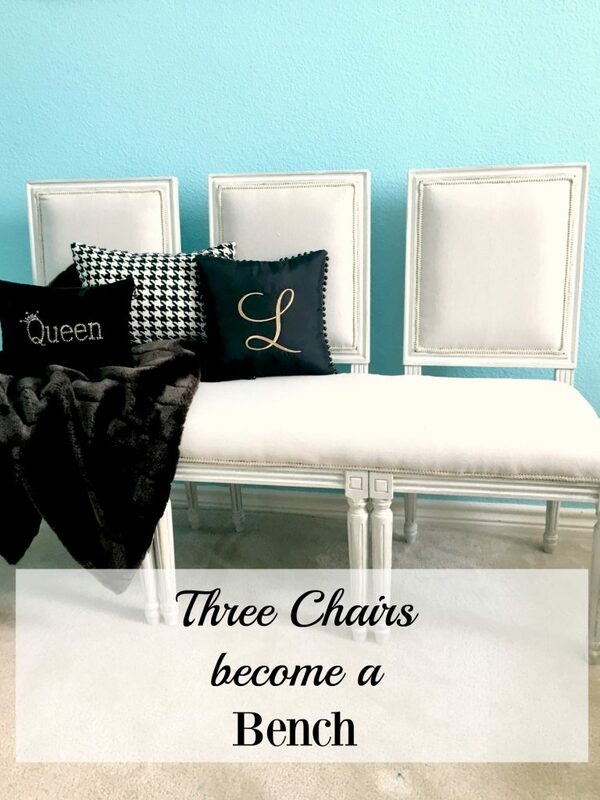 The throw with your chair is perfection! No fall changes here because it’s H O T. The end. You crack me up! Thanks so much. 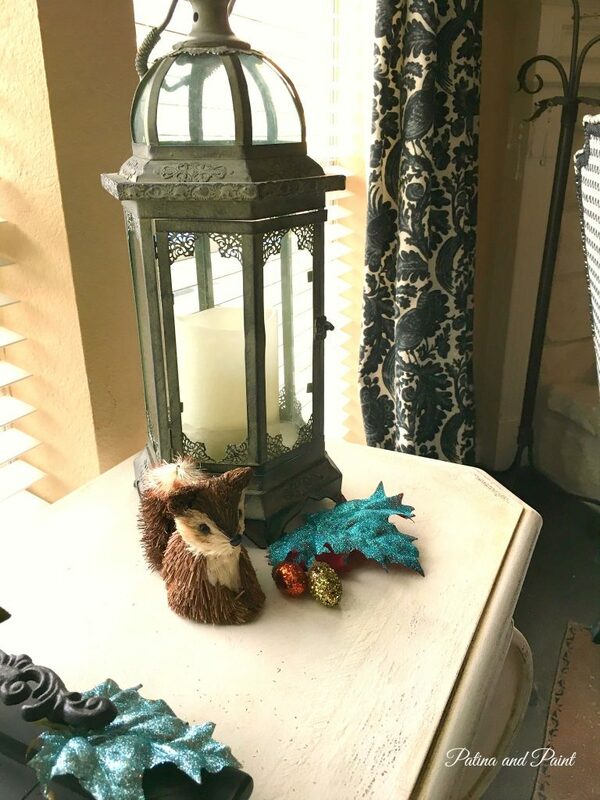 I’m slowly getting into the mood for fall, you know how hot and humid it is in Texas right now… happy shopping for the throw! Tammy- I am running to Ross tomorrow! Thanks so much, I am so glad that you like the chair. I hate to say this but I cannot remember where I got the material. I do know it was two years ago. I looked at the pillow to see if there was any writing on the selvage, as they sometimes have the name written on it, I didn’t find anything. I will go back and see if I can find any receipts ( I usually keep them) and see if I can find at least where I bought it. I’ll look and get back to you! 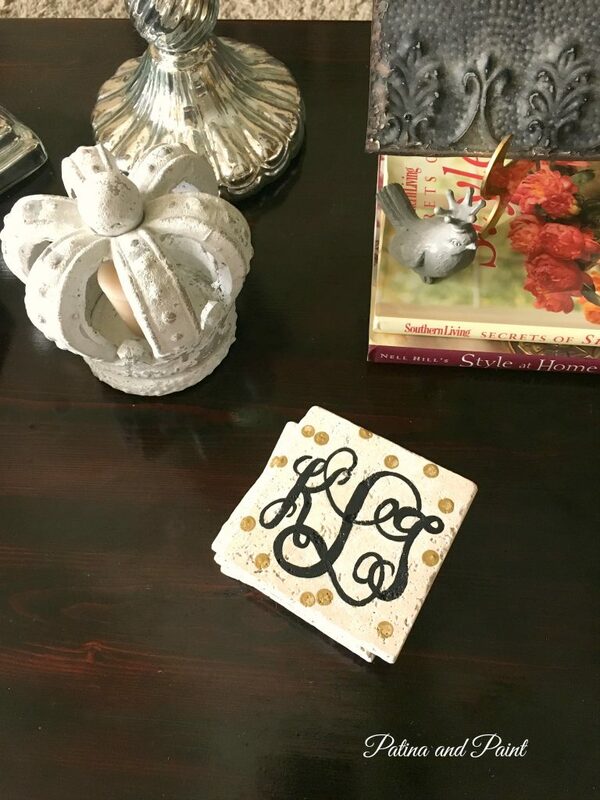 do you think some of your decorating blogger friends might know what the pattern is ??? Yay! That sounds familiar too but I will go on-line and check for sure! You were right! The pillow fabric is St. Moritz Red Tribal by Richloom! The curtain material is an indoor/outdoor fabric called Tucker Resist Ebony Waverly fabric Williamsburg. Although I know they also have it in a regular material. I got the idea to use this from another blogger. The fabric is a little stiff, however it works beautifully! 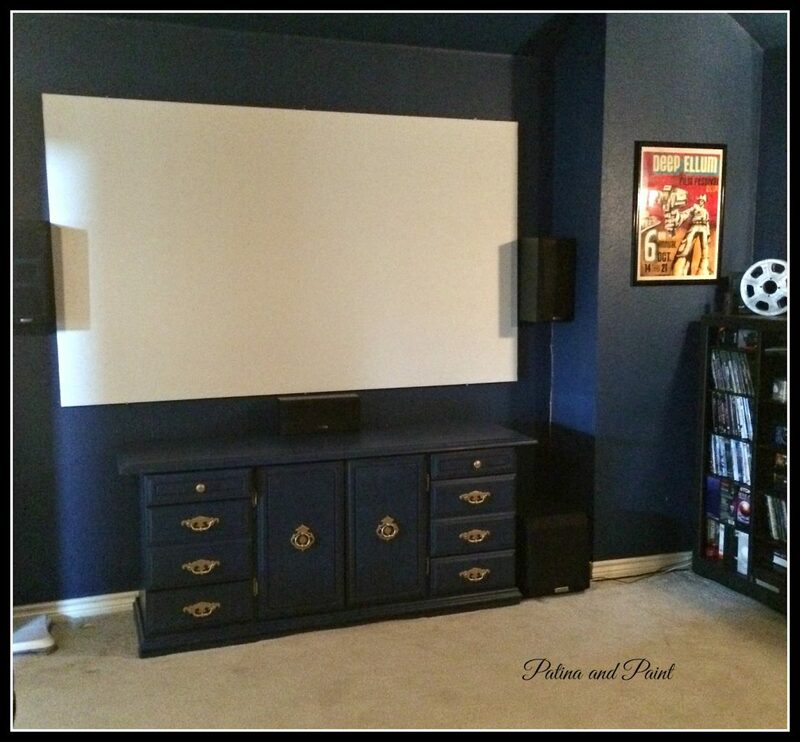 Good luck finding the material and I would love to see your pictures when you are done!